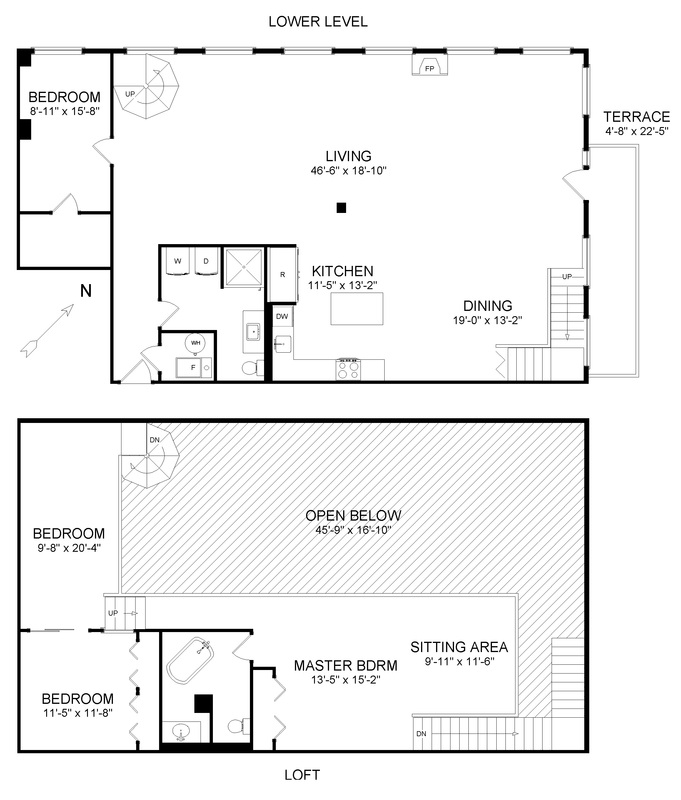 A special residence that combines space and style. 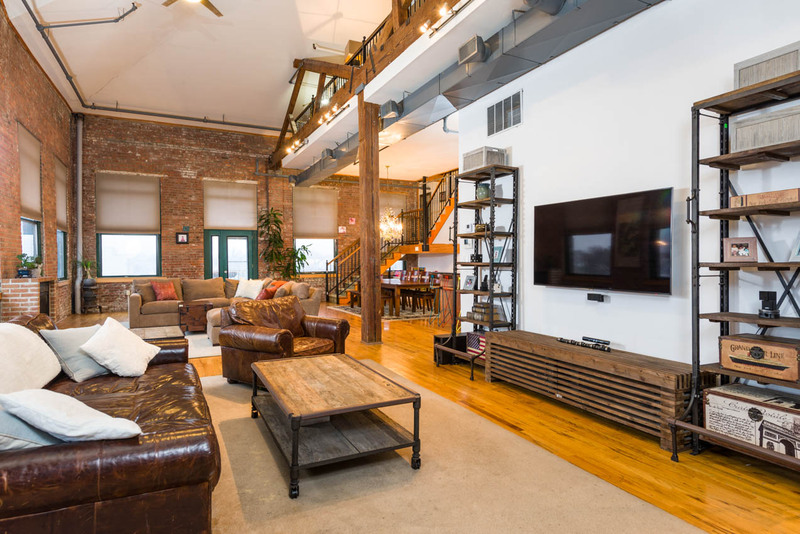 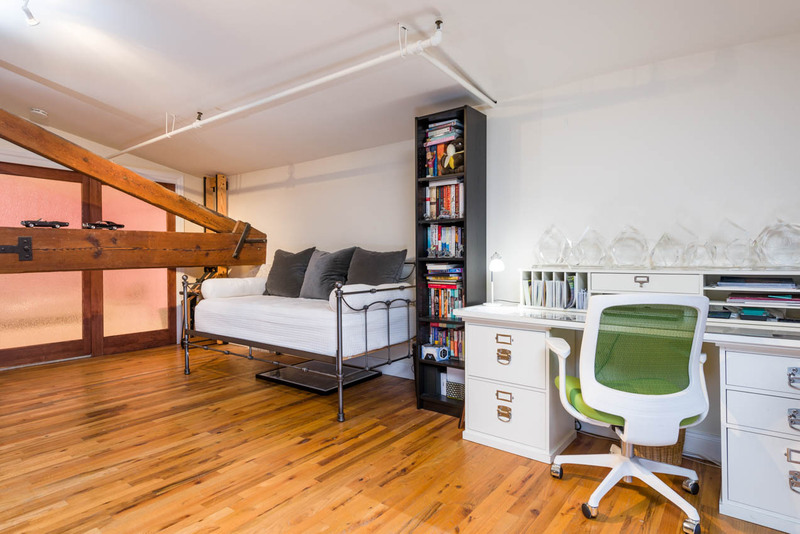 The Hugo Pronti Artist Lofts were originally a suitcase factory that was later converted to Artist Lofts and now feature the best of Jersey City Heights Loft Living. 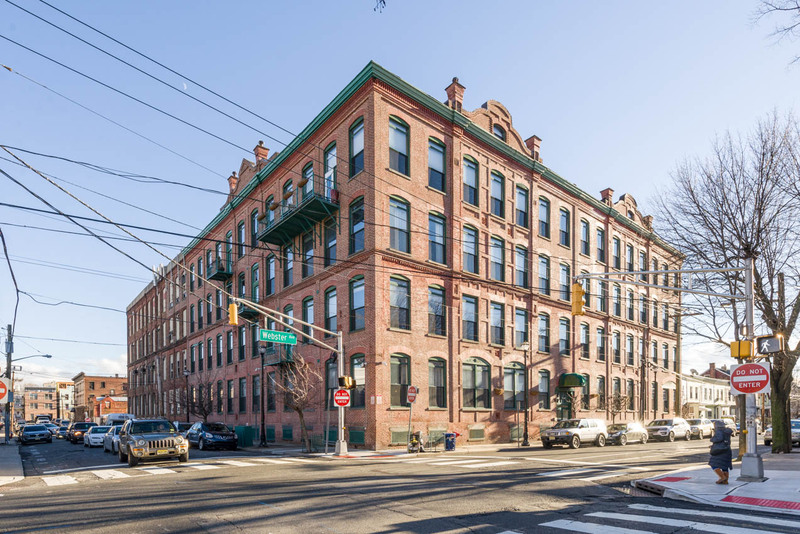 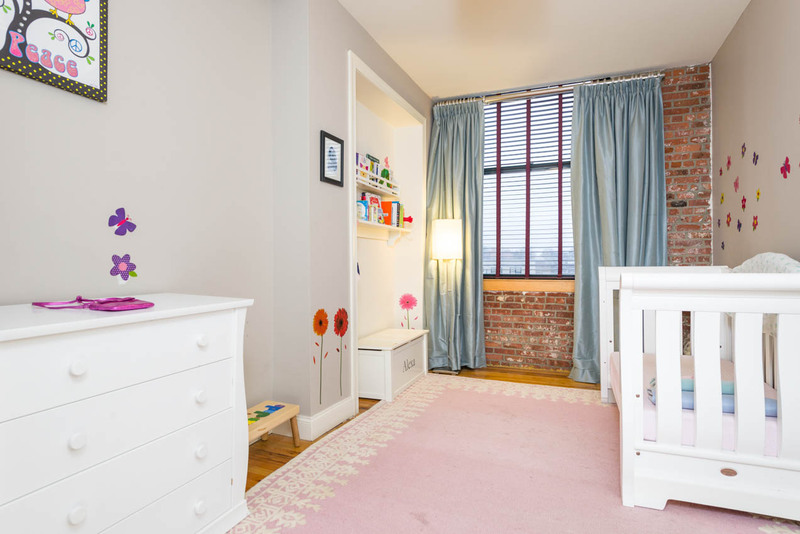 This 28 unit brick structure, with elevator service, large storage space, and video entry is located just a few blocks to the NYC bus, Hoboken�s 2nd Street Light Rail, and Riverview Fisk Park. 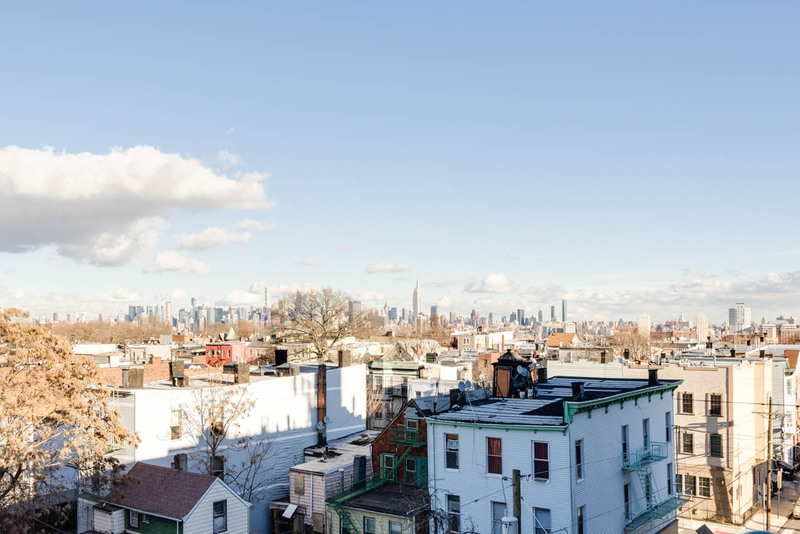 Be a part of a booming neighborhood with weekly Farmers Markets, new boutique construction, and a revitalizing Retail Row on Palisade Avenue. 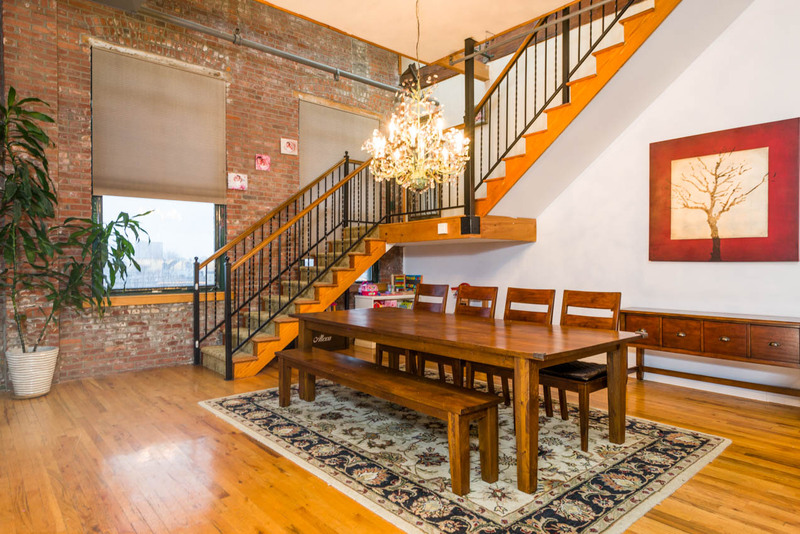 The massive duplex corner loft is a work of art and impresses from your first step inside. 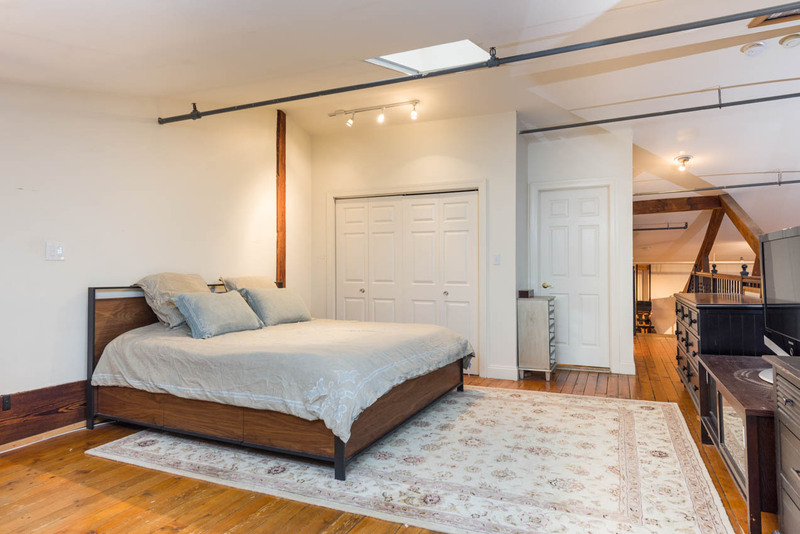 The original structural wood beam system spans the center of this breathtaking loft and compliments the wood floors and exposed duct work. 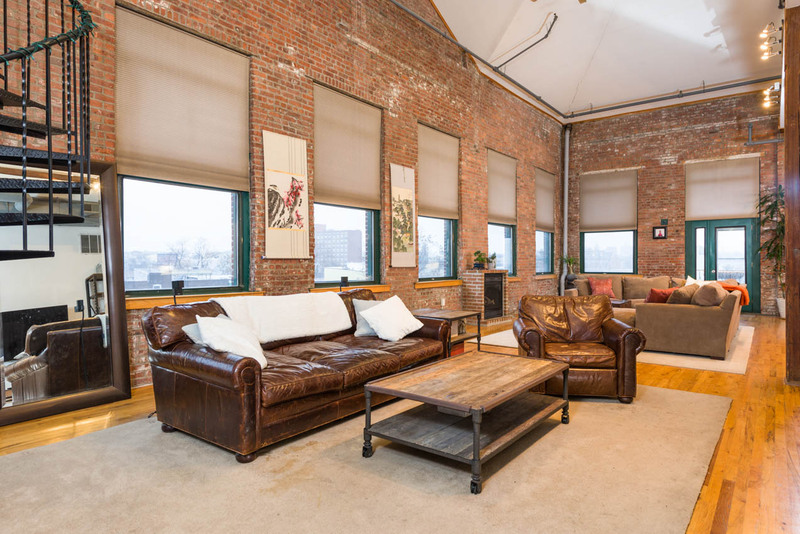 2,500 square feet of internal space with 22.5 foot ceilings, fireplace, terrace, a dozen oversized windows, and skylights. 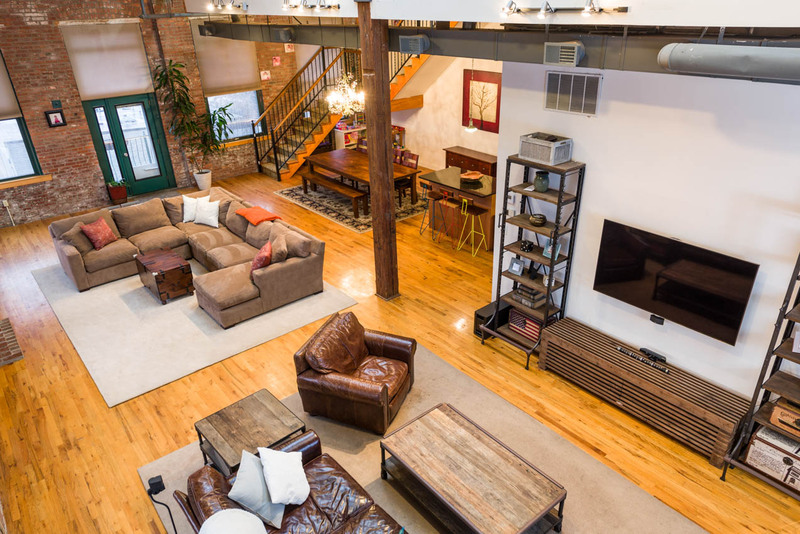 Entertainers delight with NYC Views and space for a formal living room, casual family room, dining room, and chef�s kitchen all bathed in natural light and covered in exposed brick work. 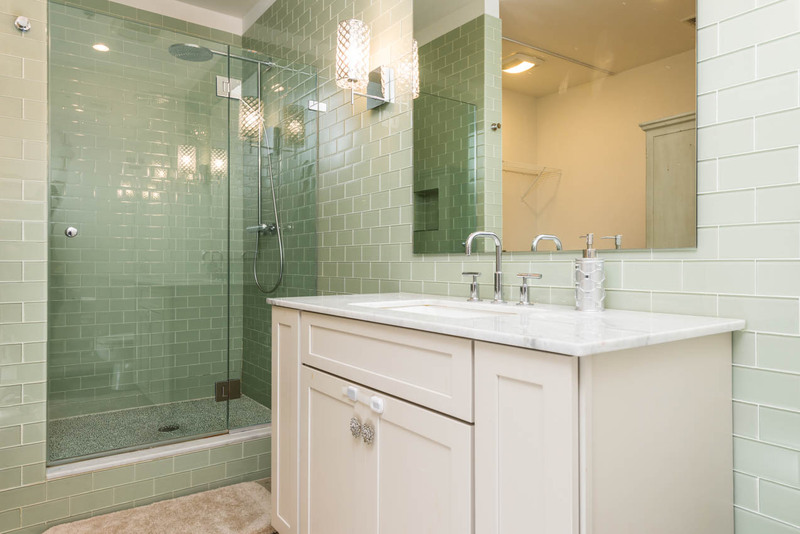 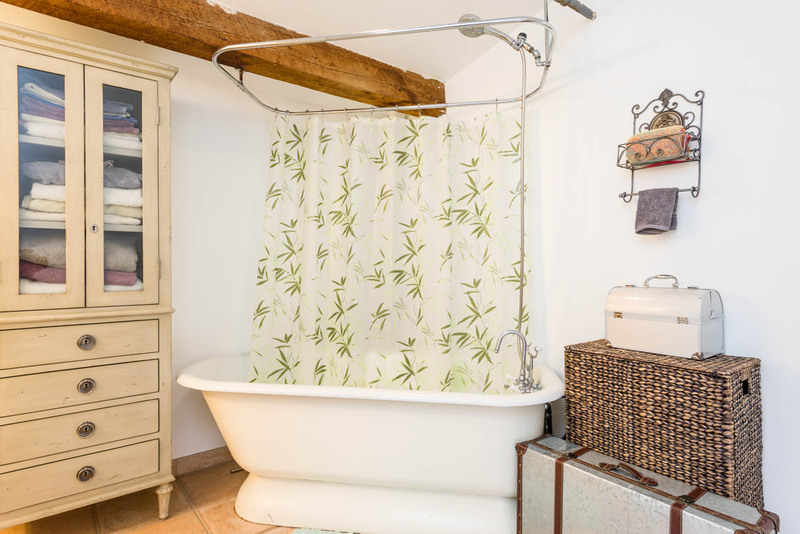 Enjoy the modern renovated bathroom on the first floor complete with washer dryer and the country rustic bathroom upstairs with a cast iron tub. 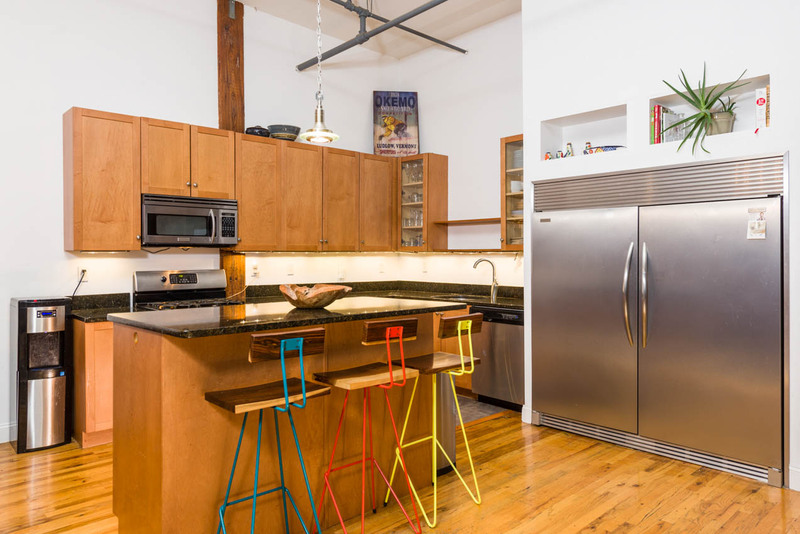 Kitchen features granite countertops and Frigidaire Professional Series Stainless Steel Appliances including an oversized fridge. 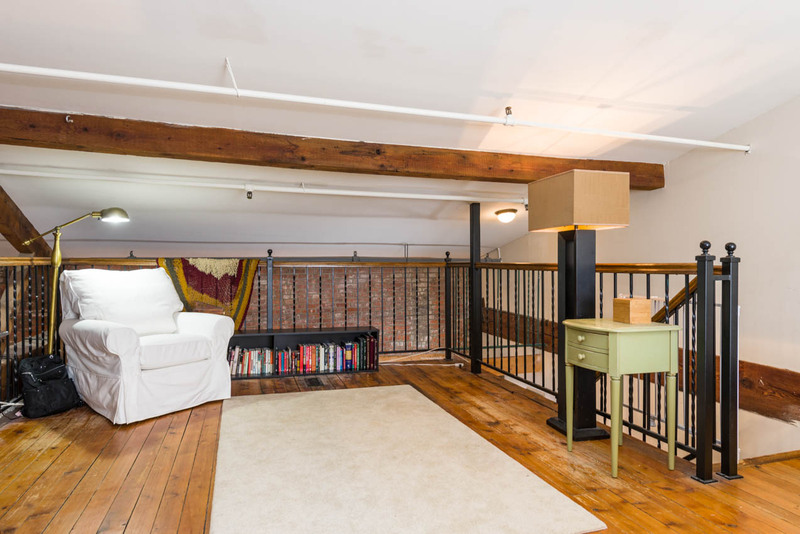 Plus the convenience of your own private garage. 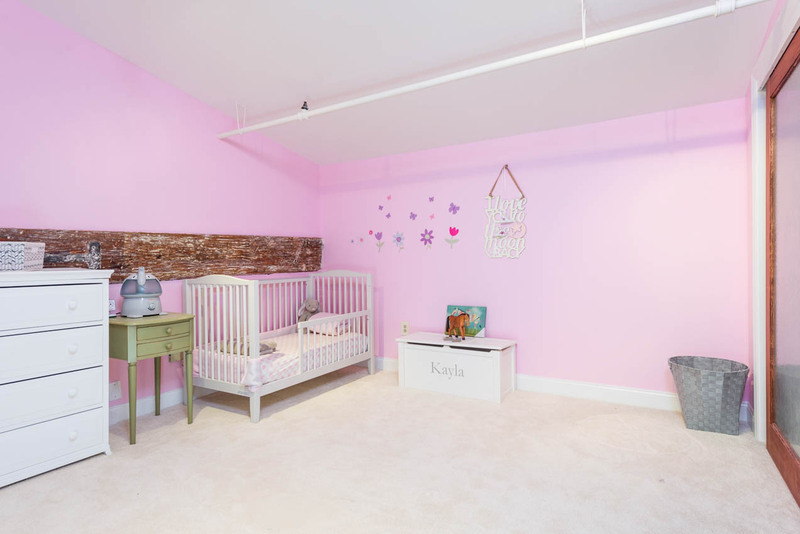 Welcome to an unbelievable home!